Chris Brown has checked himself into rehab to "gain focus and insight into his past and recent behavior" after being arrested for allegedly assaulting a man outside a hotel over the weekend. 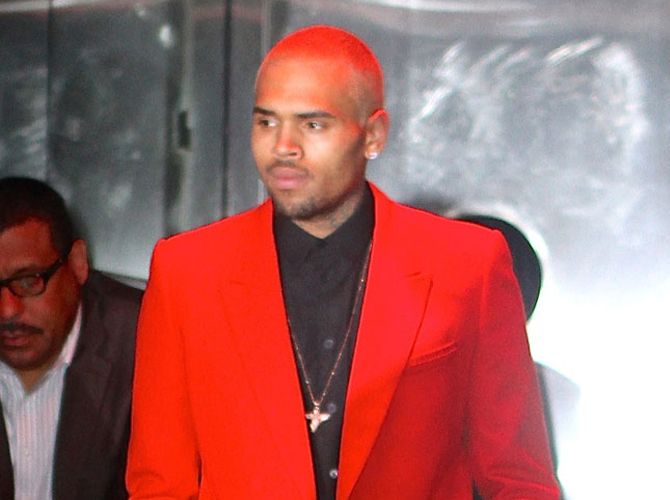 Chris Brown has entered rehab. The 24-year-old singer, who was arrested for assault after allegedly punching a man outside a hotel on Sunday (October 27, 2013), has decided to seek help following his recent troubles by checking into a treatment facility on Tuesday (October 29, 2013). Chris' representative told E! News: "Chris Brown has elected to enter a rehab facility. His goal is to gain focus and insight into his past and recent behavior, enabling him to continue the pursuit of his life and his career from a healthier vantage point." The news comes just days after the "Forever" singer was arrested, along with his bodyguard, in Washington, DC, after reportedly hitting a man and making a homophobic slur in the early hours of Sunday morning. Chris reportedly punched the man, breaking his nose, when the unidenitified male and a friend attempted to insert themselves in a picture he was taking with two females. The star's lawyer insists he is not guilty. The crooner was expected to co-headline a concert with girl band Danity Kane at the Roseland Ballroom in New York City on Tuesday but he cancelled the gig ahead of checking into rehab. Chris is still on probation for assaulting then-girlfriend Rihanna, 25, in February 2009 and his latest arrest could be deemed a violation of his probation, resulting in a potential four-year prison sentence.